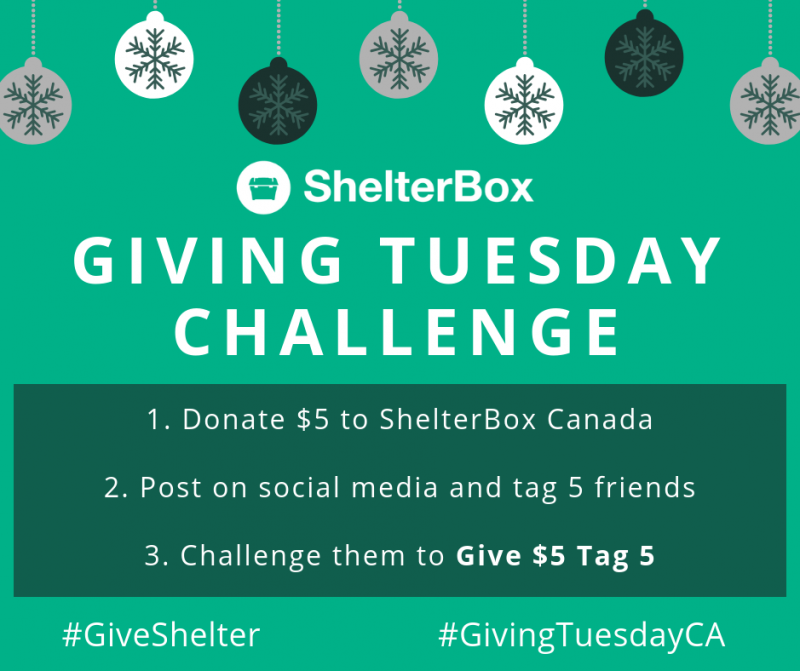 Welcome to the Give $5 Tag 5 challenge! You’re helping spread the word of ShelterBox and ensuring that no family is left without shelter. Together, we can ensure even more families have safe shelter this holiday season. After completing your donation, tag your friends and challenge them to participate in the Give $5 Tag 5 challenge too! Download the picture at right to post and help your friends get involved. Together, we can ensure more families have safe shelter this holiday season.